Sub-Saharan Africa is the poorest region in the world. But its current status has skewed our understanding of the economy before colonization. 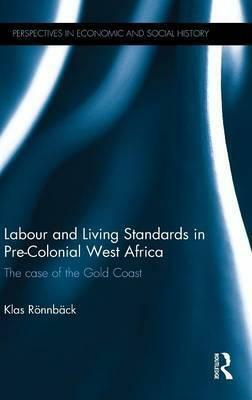 Roennback reconstructs the living standards of the population at a time when the Atlantic slave trade brought money and men into the area, enriching our understanding of West African economic development. Klas Roennback is an Associate Professor of Economic History at the University of Gothenburg, Sweden.